As Chief Executive Officer of Wathen Bros., Spalding Wathen personifies a family tradition of involvement in the building industry. His personal building industry activities span more than 50 years and account for many thousands of residential dwelling units in Central California. Under his leadership, Wathen Bros. has consistently been identified by real estate professionals as one of Central California's top quality builders that stress premier workmanship and affording pricing. The combination of affordable pricing and quality workmanship has allowed Wathen Bros. to consistently excel as one of the Valley's top volume builders for five decades. Spalding has served on the Board of directors of the Building Industry Association of San Joaquin Valley (BIASJV) and has earned the status of Life Director. He is also a founding member of the Board of directors for the Bank of Fresno. 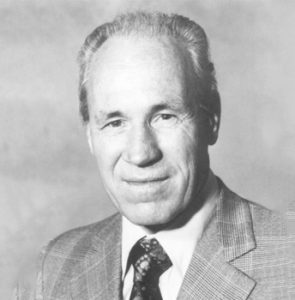 ​Spalding was elected President of the BIASJV on four separate occasions (1956, 1961, 1970 and 1974), an honor that typically is reserved for only one term. Also, Spalding is the recipient of the BIASJV's Oscar Spano Award for Lifetime Achievement. This special honor has been bestowed on a select few local industry leaders that have displayed unusual leadership abilities and a willingness to sacrificially support the building industry . After serving as a World War II Navy pilot, earning a degree in Civil Engineering from the University of California, Berkeley and graduating number three in his class, Spalding turned his attention to expanding the scope of the family building business. Not content to be limited strictly to construction activity, Spalding diversified by acquiring numerous subcontracting firms. For more than five decades, Mr. Wathen devoted vast amounts of personal energy to improving recreational facilities in Fresno. This resulted in numerous commendations and acknowledgments from local civic leaders. His many civic activities culminated in the construction of a community project that was largely coordinated and funded personally by Mr. Wathen. Called Storyland, it is a multi-acre facility within Fresno's largest park that is maintained solely for the benefit of young children. Spalding and his wife, Della, live in Fresno. They have five daughters, Judy, Shelley, Leslie, Terry and Cindy.